This article is 2893 days old. 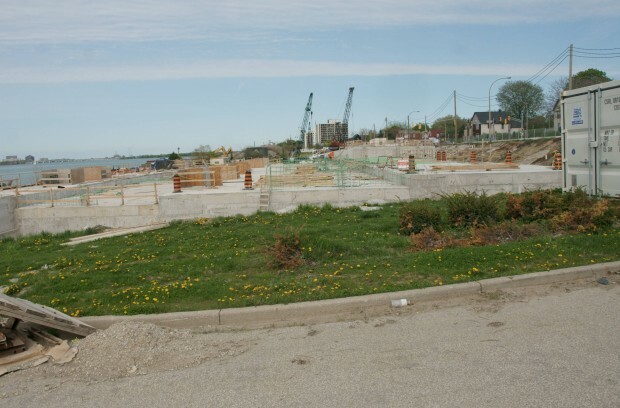 Construction is progressing along the river front on the Windsor Riverfront Retention Treatment Basin. The basin is designed to take in huge volumes of water during significant storms which would otherwise have difficulty making it all the way to a regular water treatment plant. The hole has now been filled and the top cement cap is now being placed on it. Once complete, the area will be paved over once again and the parking lot that was there before, will be restored. Restoration work along the trail has also begin, but this is not expected to be complete until mid-summer.